Where is the Rogerty Purses Exhibition? Last week, I was asked this question at the Houston Quilt Festival. I pointed the woman toward the exhibition "Quilts 1650-1850: From Broderie to Broderie Perse exhibit from the Collection of Jane Lury." The woman asking the question might not have known the term, but she knew an exhibition that shouldn’t be missed...smart woman! 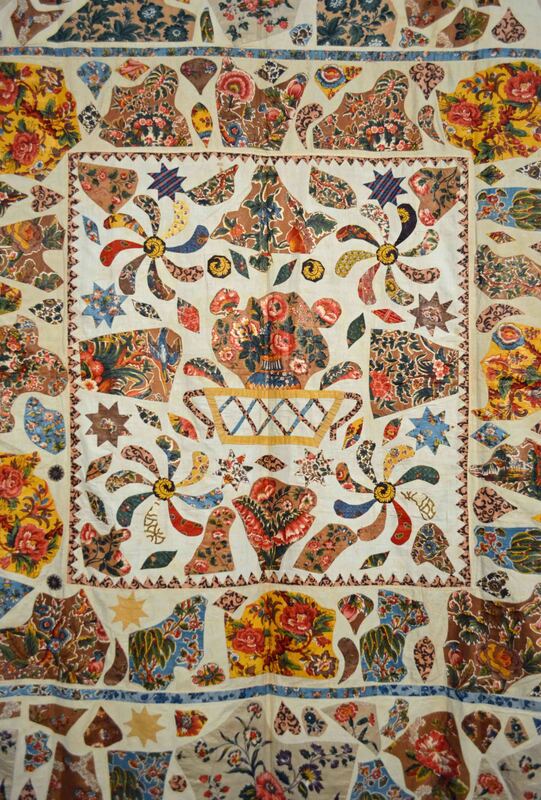 Broderie Perse, French for Persian embroidery, is a technique of applying fabric cut-outs to background fabric. The decoration could create a new image, or the cutouts could be random like a scrapbook. The technique was most popular from the 17th century until the early 19th century. 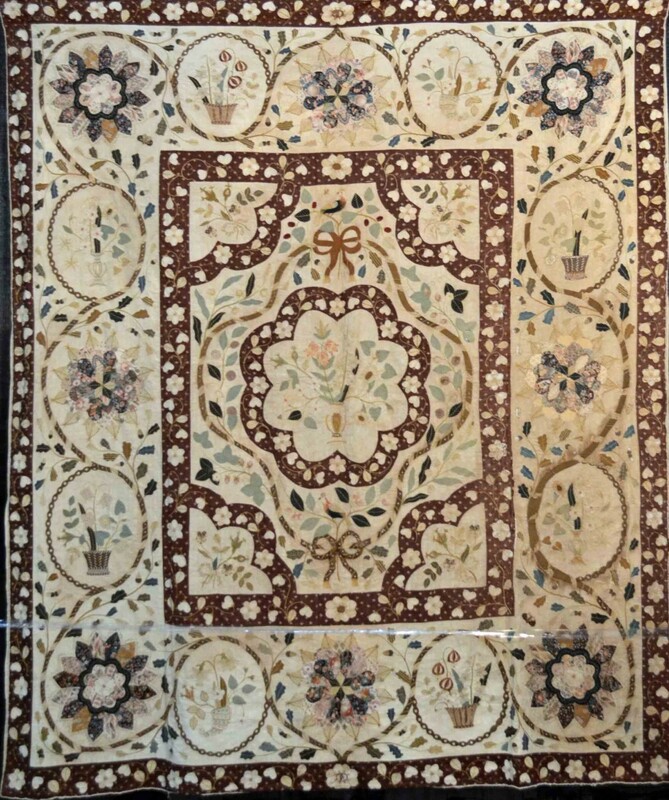 The term has fallen out of favor, instead we typically use “cutout chintz”, since it is most frequently done with chintz. The quilts in Jane Lury’s exhibition offered an amazing glimpse at the technique by professionals and amateurs artists. 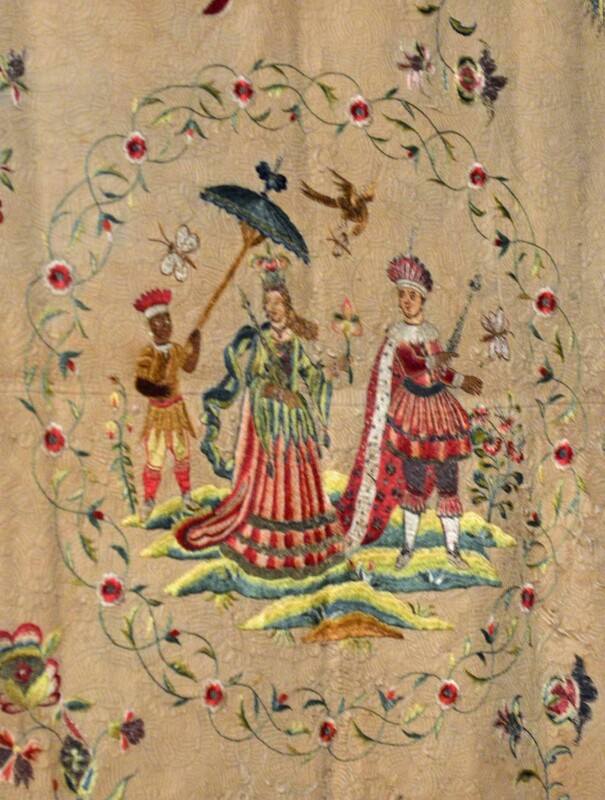 Although it was primarily chintz fabric there were some silk items as well. 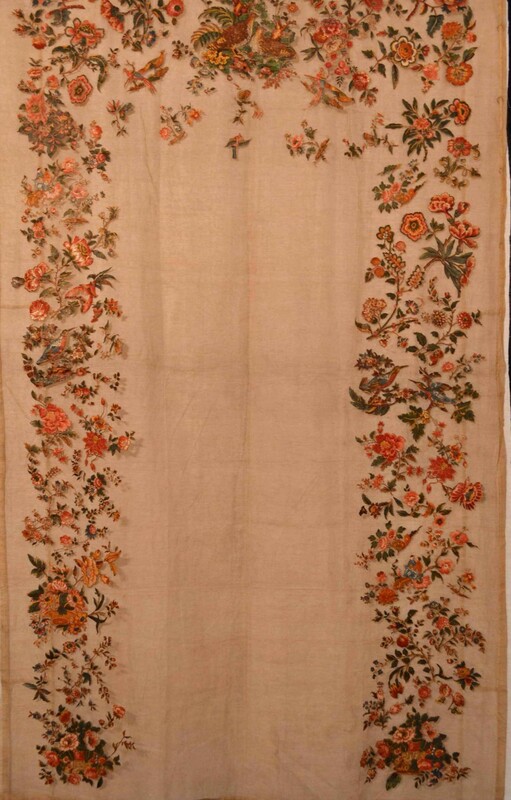 One of the more interesting was a “glued-on version,” perhaps one of the earliest fusible known. (Ha! I don’t really know when the earliest fusible was done, nor does it seem like a fact worthy of a lot of research time.) But I was amused by the reminder that there is more than one way to create Broderie Perse. 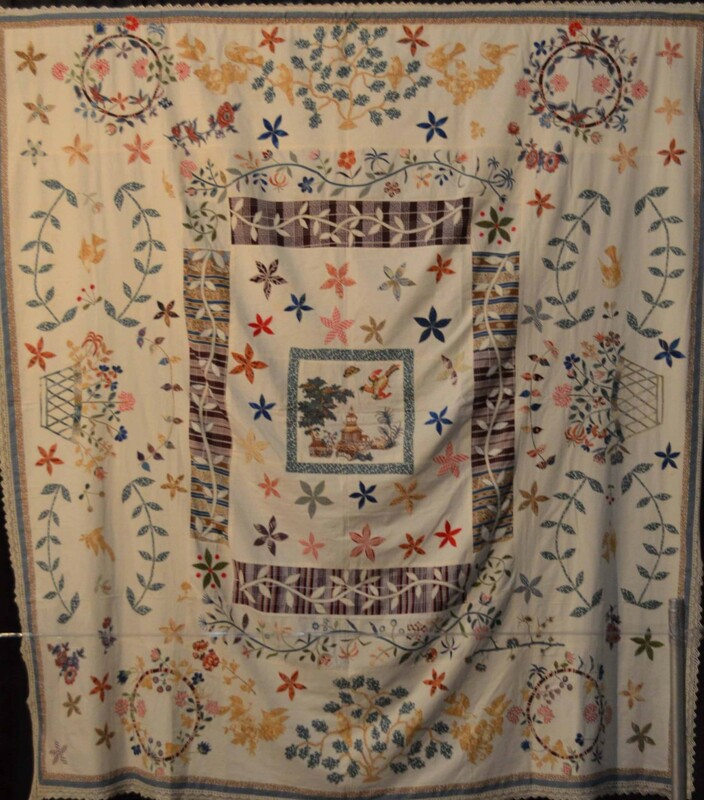 If the photos in our blog aren’t enough for you, Jane’s book “Meanderings of a Quilt Collector” provide the full spectrum on her collection. The photos are wonderful and the text interesting too. No matter what you choose to call the technique, it is worthy of appreciation and study!